Dr Monique Mann recently published an adapted article titled ‘The Capability: Facial Recognition, Privacy and Regulating New Technology’ in the Australian Security Magazine to promote her recent UNSW Law Journal publication. The Australian Security Magazine is the country’s leading government and corporate security magazine. It is published bi-monthly and is distributed free of charge to many of the biggest decision makers in the security industry and leading industry events. It is a highly respected and sought after publication, incorporating investigative journalism, provoking editorial and up-to-date news, trends and events for all security professionals. 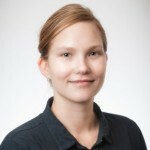 Dr Mann has recently published her research on facial recognition technology in the UNSW Law Journal. To access the full article, click here.